Now that Trainwreck has proven LeBron James to be a pretty delightful onscreen presence, it’s time to see what other talents the basketball star might be able to apply to the pop culture landscape. (That is, of course, besides all those great ideas for Trainwreck sequels the man has.) 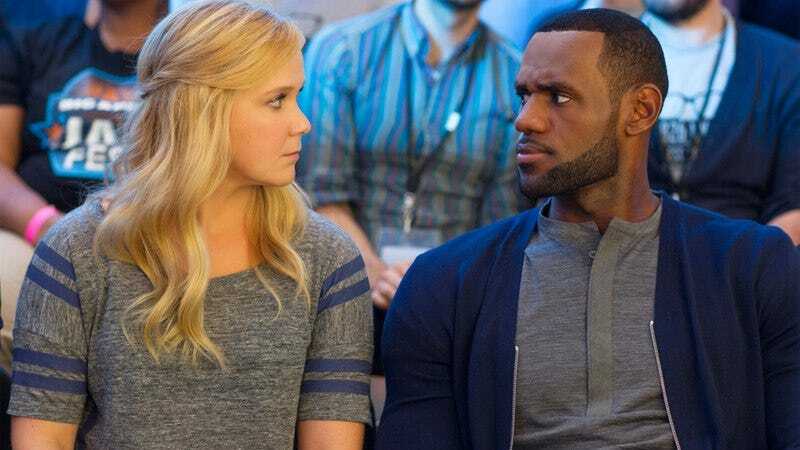 The Wall Street Journal has done a little homework, and it turns out that with only his appearance in Amy Schumer’s romantic comedy, it’s now possible to connect just about every actor to every basketball player in six degrees or fewer. Head on over to the paper’s “Six Degrees Of LeBron James” feature and spend some time entering names. To be honest, we were convinced our “Larry Bird/Bob Hoskins” entry was going to stump the thing, but to no avail. Interconnectivity, thy name is LeBron James.